← FHDSKLGJHFSKJL Can’t we all just be friends? Green lights, fights and bites. So everyone has been in China. Well, not everyone, but the majority of people that I care about. Okay maybe just Paul Piere (Yao is there too but let’s just be honest here- do we really care about him that much?). And I’m jellin’ over here because I wish I was chillin’ in China with The Truth. and eating chinese food STAY FOCUSED LAUREN. 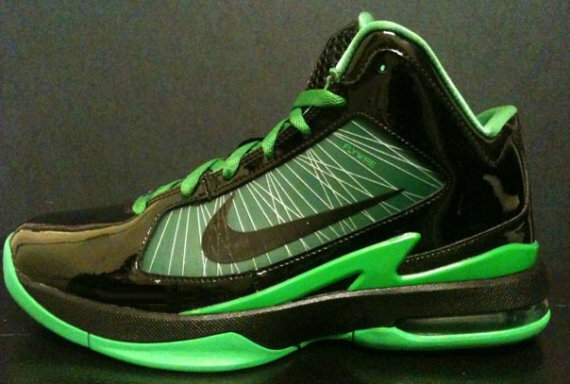 But anywhoozle, speaking of Paul Pierce, and the C’s, and basketball shoes, check out these. As of right now I think these are the coolest kicks ever- the Nike Air Max 90 Hyperfly, and Paul Pierce wears them. HAWT. On a more…uncivilized note, I was watching the video of the Chinese team and Georgetown team fighting and all I could do was sit there and laugh/grimace/say “what the heck is going on?” It got me interested in other brawls that have gone on in basketball history, so I googled it and I found an awesome countdown of the top 24 Wildest Fights in NBA History. There were some good ones on there! My personal fave has gotta be Danny Ainge (of course) vs. Tree Rollins. This is what I think about it. 1) Basic overview: Rollins nails Ainge with his elbow and Ainge tried to get him to the ground for revenge. Well, Rollins got the best of it and ended up biting Ainge’s finger. Proceed to make Mike Tyson jokes about biting opponent’s body parts. 3) Danny, you were a thin white guy. Did you think you had a large chance? Sometimes the ‘professionals’ act more crazy than just us normal folks!